Elia Cubiq Cutlery has an unusual and unique design, with each piece featuring hollow handles, save for the teaspoon. 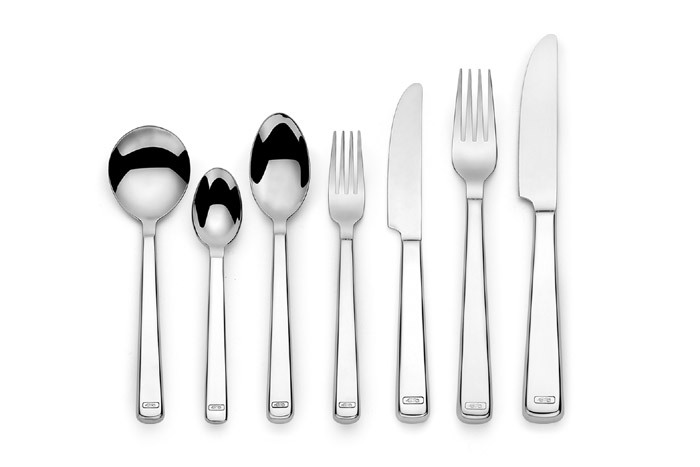 Elia Cubiq Cutlery has a substantial presence and offers a touch of luxurious elegance for an opulent table setting. Each piece is superbly polished to a rich mirror finish.